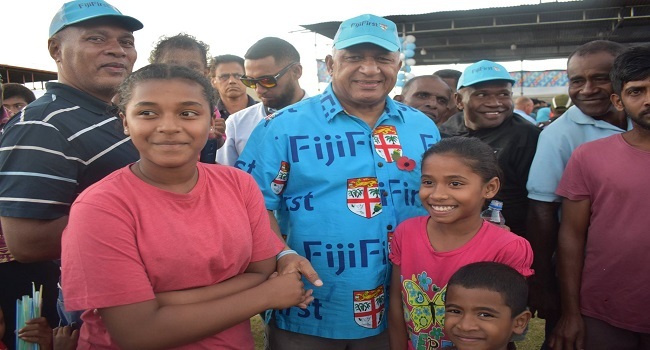 FijiFirst leader Voreqe Bainimarama told villagers of Nabila in Nadi to refrain from reading and listening to fake news. While responding to the question, Bainimarama says that this was the problem of some politicians who are going to any lengths to spread lies in order to get votes. He also told the villagers to not believe anything they read on the internet especially social media sites. Bainimarama assured those present, that China cannot take Kadavu. He adds that it was really sad to learn that politicians are using these tactics to get into parliament. Another question was asked from resident, Kaveni Bola if Fiji has the money to pay back the loans they owe China. The FijiFirst leader in his capacity as the Prime Minister stated that the country has the money to pay back the loans.